Gaudí‘s first works were designed in the style of gothic and traditional Spanish architectural modes, but he soon developed his own distinct sculptural style. French architect Eugene Viollet-le-Duc, who promoted an evolved form of gothic architecture, proved a major influence on Gaudí. But the student surpassed the master architect and contrived highly original designs – irregular and fantastically intricate. 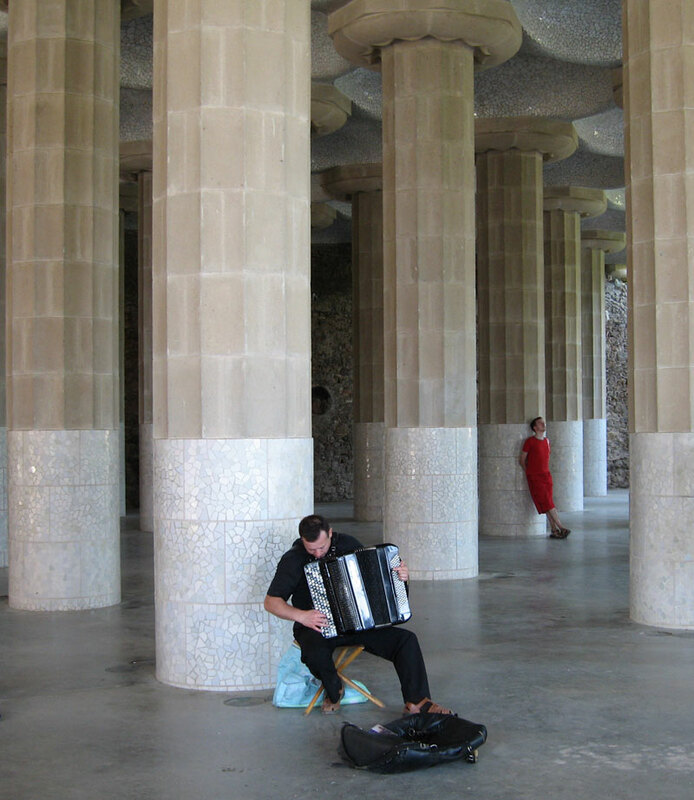 Some of his greatest works, most notably La Sagrada Família, have an almost hallucinatory power. 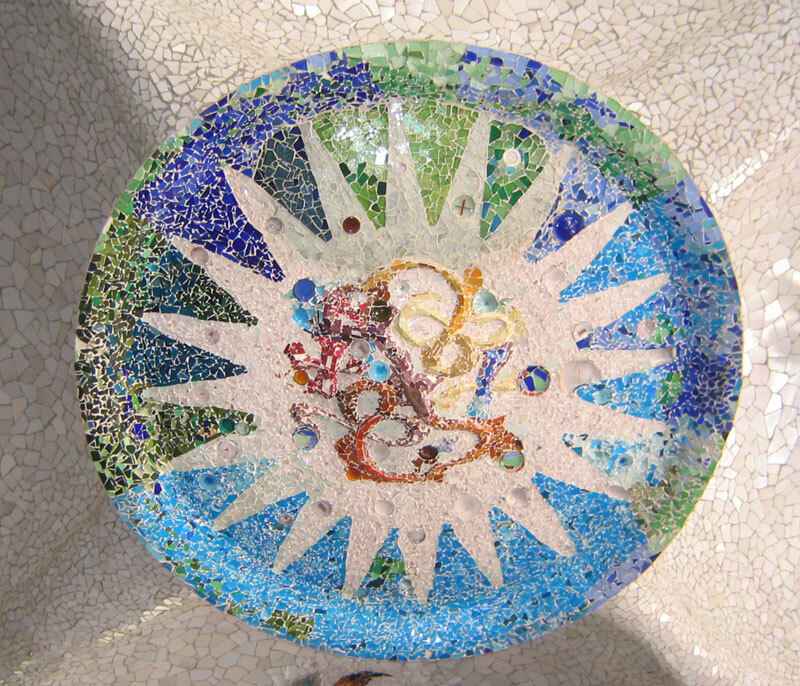 Using the trencadís technique, Gaudí often decorated surfaces with broken tiles. The architect’s work has been categorized as Art Nouveau architecture, a precursor to modern architecture. But his adoption of biomorphic shapes rather than orthogonal lines put him in a category unto himself (in Latin, sui generis). His style was later echoed by that of Austrian architect Friedensreich Hundertwasser (1928–2000). Though hailed as a genius, some hypothesize that Gaudí was color blind and that it was only in collaboration with Josep Maria Jujol – an architect twenty seven years his junior whom he acknowledged as a genius in his own right – that he produced his greatest works. 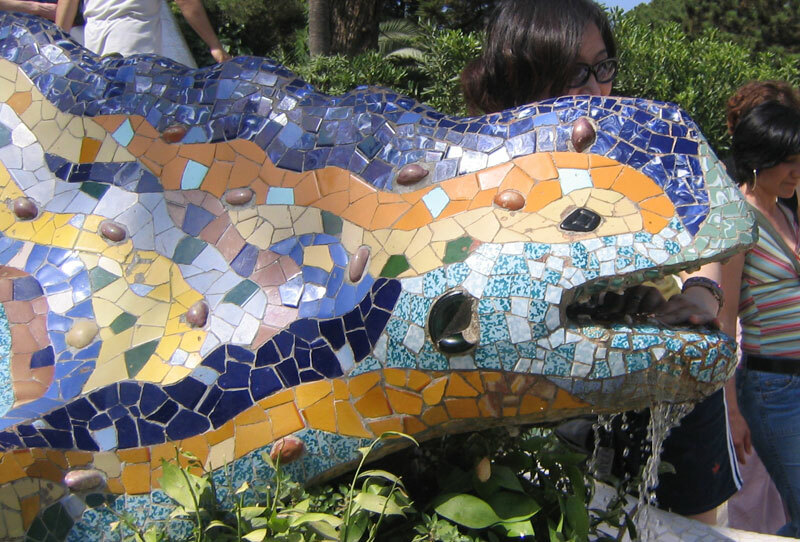 Gaudí, throughout his life, was fascinated by nature. He studied nature’s angles and curves and incorporated them into his designs. Instead of relying on geometric shapes, he mimicked the way trees and humans grow and stand upright. The hyperboloids and paraboloids he borrowed from nature were easily reinforced by steel rods and allowed his designs to resemble elements from the environment. Because of his rheumatism, the artist observed a strict vegetarian diet, used homeopathic drug therapy, underwent water therapy, and hiked regularly. Long walks, besides suppressing his rheumatism, further allowed him to experience nature. 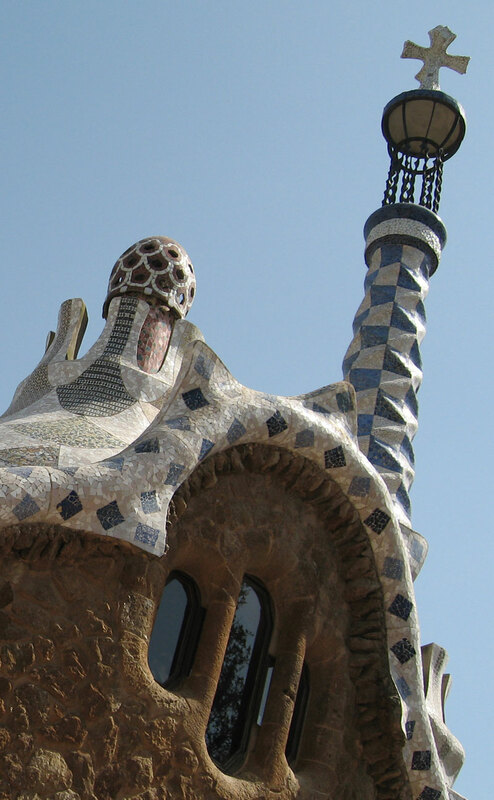 Gaudí‘s originality was at first ridiculed by his peers. Indeed, he was first only supported by the rich industrialist Eusebi Güell. His fellow citizens referred to the Casa Milà as La Pedrera (“the quarry”), and George Orwell, who stayed at Barcelona during the Spanish Civil War, admittedly loathed his work. As time passed, though, his work became more famous, up to the point that he is now considered one of Spain’s best and brightest. The opportunities afforded by Catalonia’s socioeconomic and political influences were endless. Catalans such as Antoni Gaudí often showcased the region’s diverse art techniques in their works. By mimicking nature, such artists symbolically pushed back the province’s ever-increasing industrial society. Gaudí, among others, promoted the Catalan nationalist movement by incorporating elements of Catalan culture in his designs. * Gaudí’s abandoned plans for a New York skyscraper hotel were re-proposed for the redesign of the World Trade Center after the September 11, 2001 attacks. * In 1992, five artists founded La Asociación pro Beatificación de Antoni Gaudí. The secular association has since pushed for the Roman Catholic church to declare Gaudí blessed. 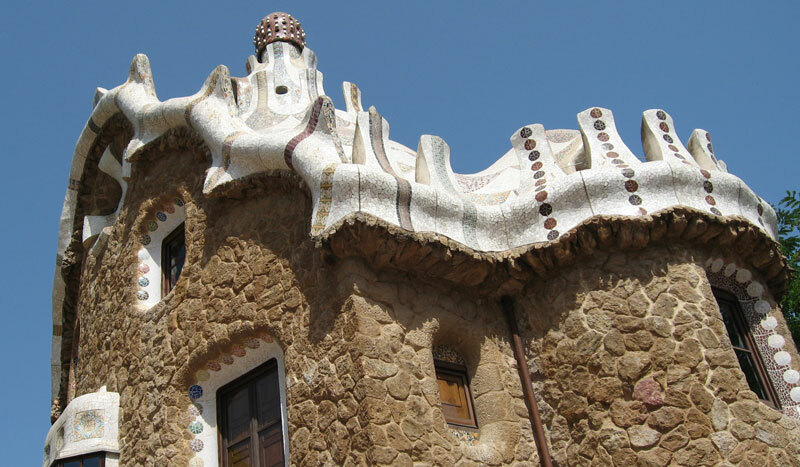 * Gaudí’s life and work inspired The Alan Parsons Project to create the 1987 album Gaudí. * Gaudí’s work inspired a shop owner in Muswell Hill London to build a shopfront in 2004 in the style of Casa Batlló. The site has encountered continual controversy; the local Council feels it is architecturally inappropriate.